Item One: Manuscript of requisitions by Farrant the purchaser's solicitors Ashurst, Morris, Crisp & Co of 17 Throgmorton Avenue, London E.C. Dated 31 July 1895. 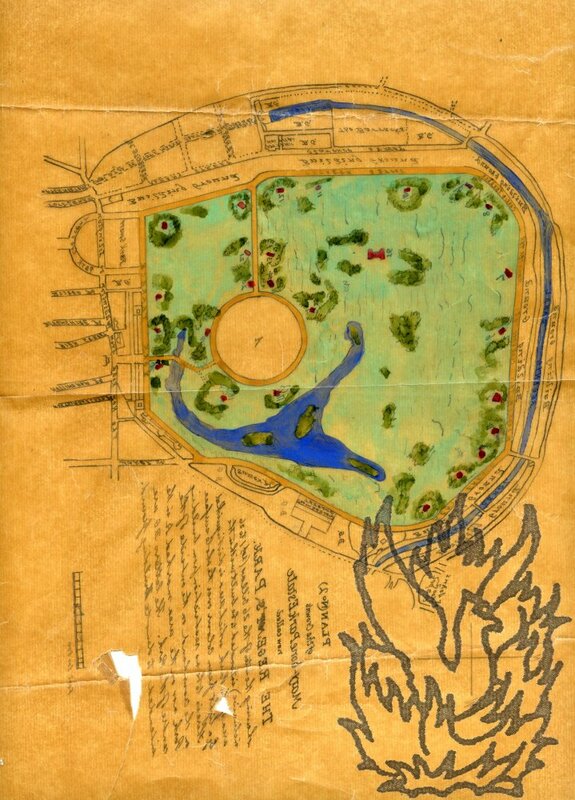 Titled 'Requisition Title [and Replies] | Trustees of Archer Burton Estate to R. E. Farrant | 3 [corrected to '2'] Park Square West'. Three pages and covering page, on one side each of four leaves each 41.5 x 34 cm. Text clear and complete. Fair, on lightly-aged and grubby paper. Each of the three pages in two columns, with thirteen 'Requisitions on Title' on the right and 'Replies' by the Vendors' solicitors Pearce & Keele of Southampton, dated 1 August 1895, on the left. Item Two: Printed document by William F. Hamilton in the case between Farrant and the Archer Burton Estate Trustees, headed 'In the High Court of Justice. | CHANCERY DIVISION. | MR. JUSTICE CHITTY. | Fos. 27. Writ issued the 29th day of June, 1896.' 8vo, 4 pp. Bifolium. Text clear and complete. On aged, worn and grubby paper. Setting out the 'Statement of Claim. | Delivered the 20th day of July 1896 by Ashurst, Morris, Crisp & Co. of 17 Throgmorton Avenue in the City of London Solicitors for the Plaintiff. [i.e. Farrant]'. 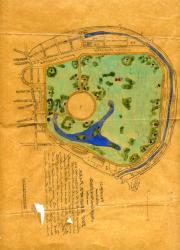 Item Three: Coloured tracing of 'PLAN (No 2) of the Crown's Mary-bone Park Estate now called The Regent's Park. [...]'. On piece of 29 x 33 cm tracing paper. Carefully executed in green, red blue and yellow. On aged, worn and chipped paper. Closed tear and hole affecting a couple of words in the nine lines of text, but map unaffected.